Boxhagener Platz, fondly nicknamed Boxi by the locals, was built in 1903. This multi-purpose park area is suffering a slight identity crisis, constantly bringing it 2 steps forward and one step back. Persistent clean up and restoration is met with resistance by a small group of people who claim it as their Kiez and want it to remain as it was. For some strange reason they make their points with bold, destructive graffiti and hate messages, leaving one to wonder if they truly come from this peaceful Kiez. Unfortunate for such a beautiful area, but tourist worthy ?. We have visited several times, due to the fantastic vibe – think Boho Hipster; our first visit was on a late Saturday morning. 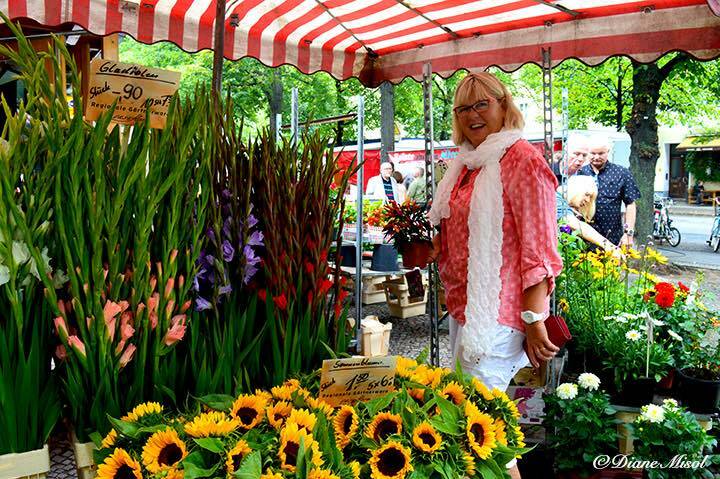 The weekend market was just waking up; Saturday showcases a farmers market and Sunday hosts a flea market. Businesses, mostly restaurants and bars, line the outer territory, alluring you to drink a coffee, wine or beer and soak up the relaxed surroundings. A huge park offers green space where you can drop a blanket and soak up some sun; we saw some tents pitched as well. 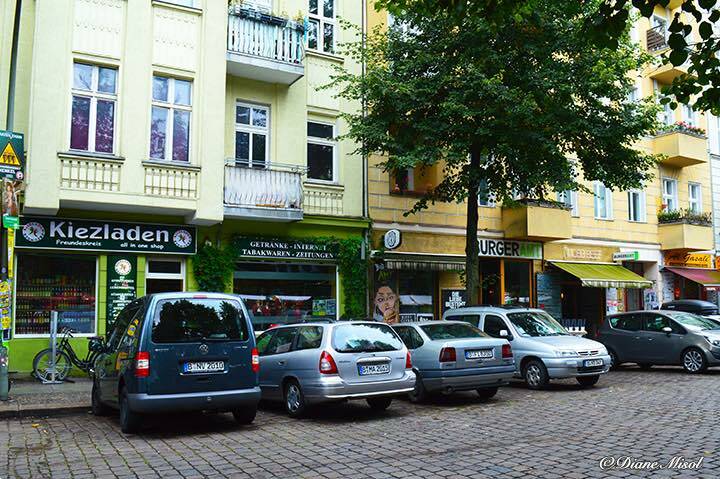 A very famous German song sings about the popular Boxhagener Platz – Der Boxi Brennt, by BOXI BARRÉ! The Berliner blues song with a rockabilly beat describes the addictive atmosphere and surroundings of the Boxi. Even if you do not understand German, you will find your feet tapping to the vibrant beat! 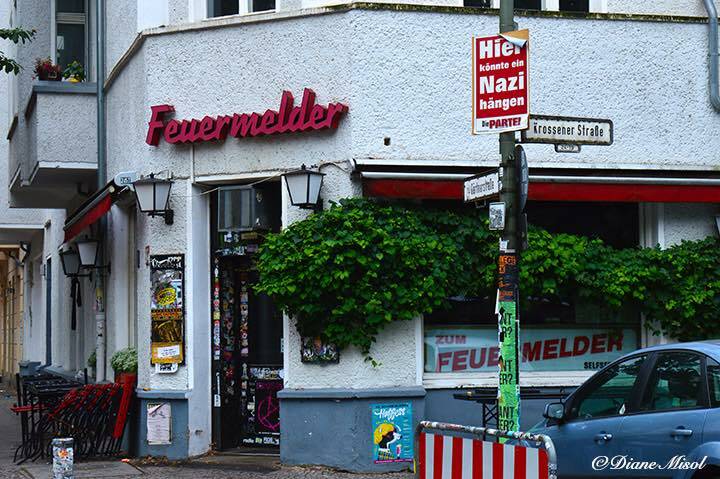 FYI, Feuermelder means Fire Alarm, but at the Boxhagener Platz, it is the name of a bar, to some an institution?. 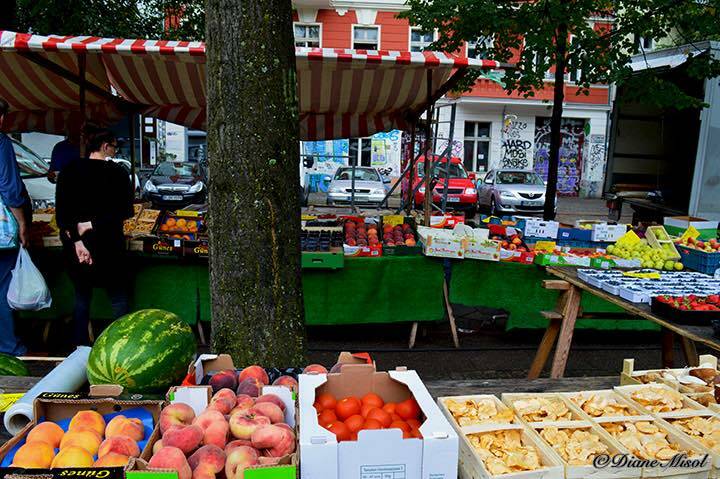 The weekend market has been operating since 1905. Although much smaller than the original market and more commercialised, you can still find local treats, and treasures including current trends such as vegan, gluten free, organic, hand crafts and self brews. Some entrepreneurs use the market to introduce their new products and innovations, like the Sweet Woodruff Elixier Gin we sampled and can recommend ?! Restaurant offerings in the area are as varied as the prices. Take the time to stroll around, look at the menus and prices as well as how busy the place is. 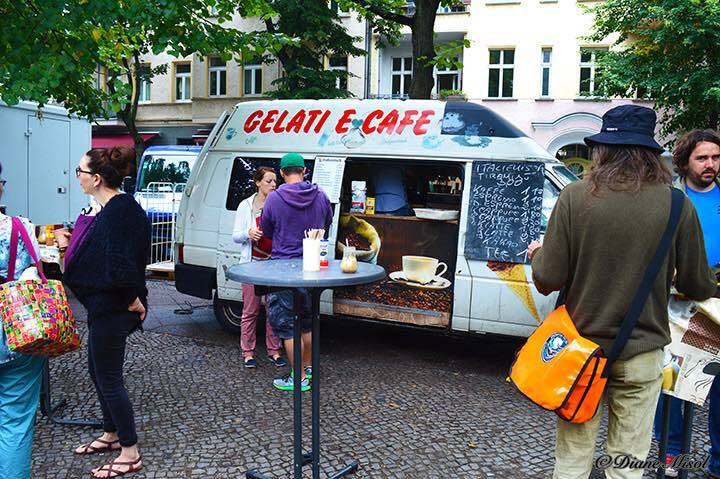 There is everything from bakeries, hamburger, pizza, and döner places to full blown restaurants offering Asian, European, Vegan, and stuff yourself full buffets. We enjoyed a leisurely brunch at Cafe 100 Wasser, which focuses primarily on Austrian and German cuisine, a 3 minute walk from Boxhagener Platz. Although it is a shadow of it’s former glory, we believe that once it is fully restored and the anti-restoration groups leave it in peace, it will once again be returned to the original grandeur. We might miss the colourful graffiti, though we will keep that thought to ourselves ?. In the meantime, it is a wonderful place to spend some leisure time, stroll the market, enjoy some food and become part of the vibe! 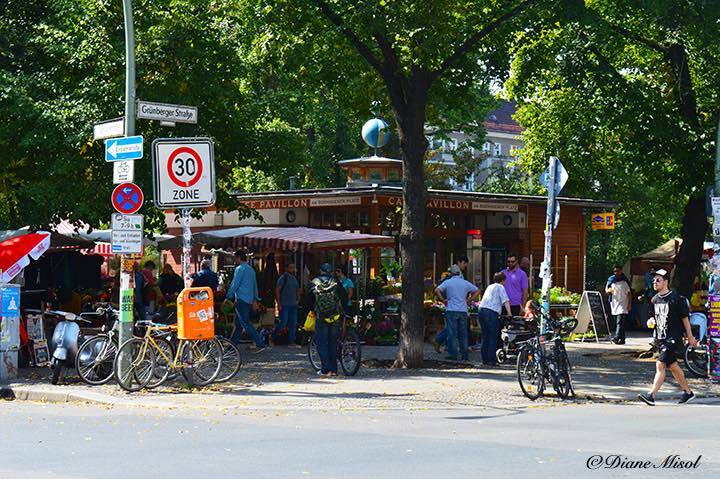 Make this part of your itinerary when visiting Berlin – get in on the Kiez Boho Hipster spirit! And remember, Europe is hot, Berlin is on Fire! and something was just said about the hill. 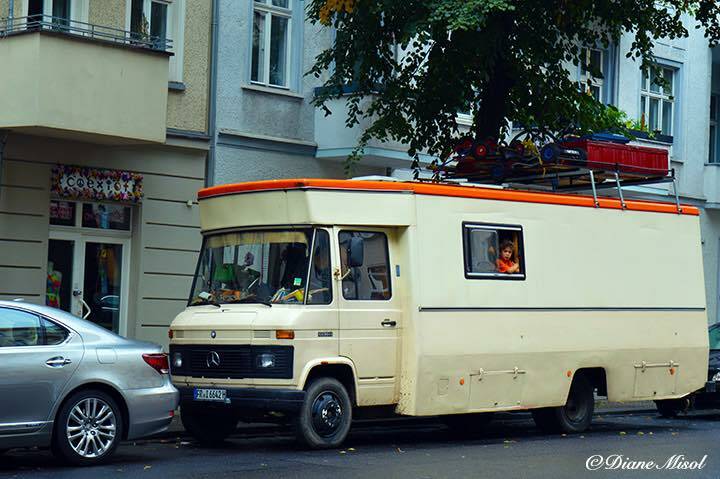 leave Friedrichshain, NO, never, rather come in, the Boxi’s on fire! The Boxi’s on fire, ladies and gentlemen!